In 2001, Tusshar Kapoor made his big Bollywood debut with Satish Kaushik's Mujhe Kucch Kehna Hai. The sequel to the decade old film is all set to go on floors on October 18. This time without the original leading lady Kareena Kapoor. Though the producer Vashu Bhagnani, director Satish Kaushik and lead actor Tusshar Kapoor remain a part of the sequel, the leading lady it seems has chosen to turn down the offer. Despite being good friends with lead actor Tusshar and his sister Ekta Kapoor, Kareena cited date problems and opted out of the project. A source informed Mumbai Mirror, "Actually there was no question of Kareena being part of this project. She has moved way ahead of the MKKH league." When contacted, director Satish Kaushik confirms the sequel, saying, "yes, we start shooting MKKH 2 from October 18. There's no Kareena this time. Tusshar features in a double role. He will have three leading ladies." However, the director denied approaching Kareena for the said project. "It is not a single heroine film. 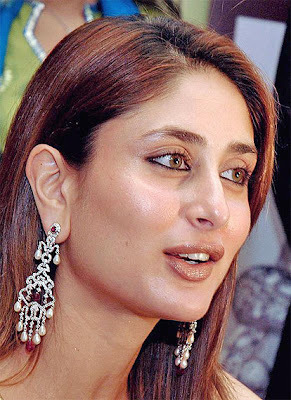 I have great memories of working with Kareena in Mujhe Kucch Kehna Hai. But I do have another script especially for her. She's super talented and I am proud of her," said Kaushik. Tusshar Kapoor on the other hand, is not only a part of the sequel to his debut project but also plays his career's first double role in the same. "Tusshar plays a double role. He plays a Sardarji in one of his avatars. It is a very funny script and my first full fledged comedy."